Rio de Janeiro is known for its incredible people, incredible beaches, incredible music and incredible lifestyle. Planning a vacation to Rio is like planning a vacation to paradise. With awe-inspiring scenery surrounding the city and amazing attractions within, there is plenty to enjoy day and night. A day of sightseeing precedes a night of fine dining. A night of Samba dancing is followed by a day of recuperation on the white sand beaches. This is a city that never sleeps with a culture that is never boring. 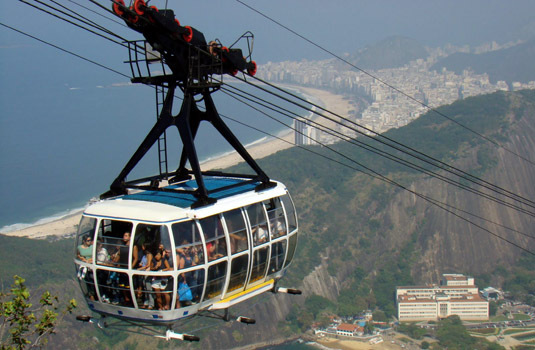 Rio has some amazing sites to enjoy such as Corcovado, the Museu do Indio or Ilha de Paqueta. For a bit of relaxation and people-watching, relax on Copacabana beach, Ipanema beach or the beach at Barra da Tijuca where the rich and famous relax. Nighttime is party time with several nightclubs to enjoy. Barra da Tijuca also has some high-end bars and clubs but the real party is in the Leblon neighborhood famous for its discos and dance bars. The difficult part of planning a Rio vacation is deciding when to sleep. There is so much happening day and night that sleep will seem like a precious waste of time.